Hatching Results trains and consults with schools, districts, and counties across the country as they design and improve their school counseling programs to best support student outcomes. Through measuring and sharing process (what services are performed for whom), perception (attitudes, knowledge, and skills), and outcome (achievement-related and achievement) data, to show how students are different as a result of a comprehensive school counseling program. Below is a sampling of results from districts supported by Hatching Results. San Jacinto High School aligned their program to the ASCA National Model, facilitating over 1,300 classroom lessons and workshops in the last three years and intentionally intervening with students to decrease dropout rates. The district was recently honored as an AP honor roll recipient for increasing diversity in AP courses and was recognized by the California School Board Association with a Golden Bell Award for the difference they are making in improving student outcomes. Murrieta Valley Earns 2017 H.B. McDaniel Foundation Group Award—Murrieta Valley Unified School District's Elementary School Counseling Program is dedicated to delivering comprehensive academic, career, and social-emotional programs to support the healthy development of all students. Through their hard work and dedication, supported by training and program evaluation through Hatching Results, the elementary school counselors have seen improvements in students’ attendance and behavior. The school counseling program was honored with the 2017 H.B. McDaniel Foundation Group Award for their leadership in school counseling program development, advocacy, and accountability. 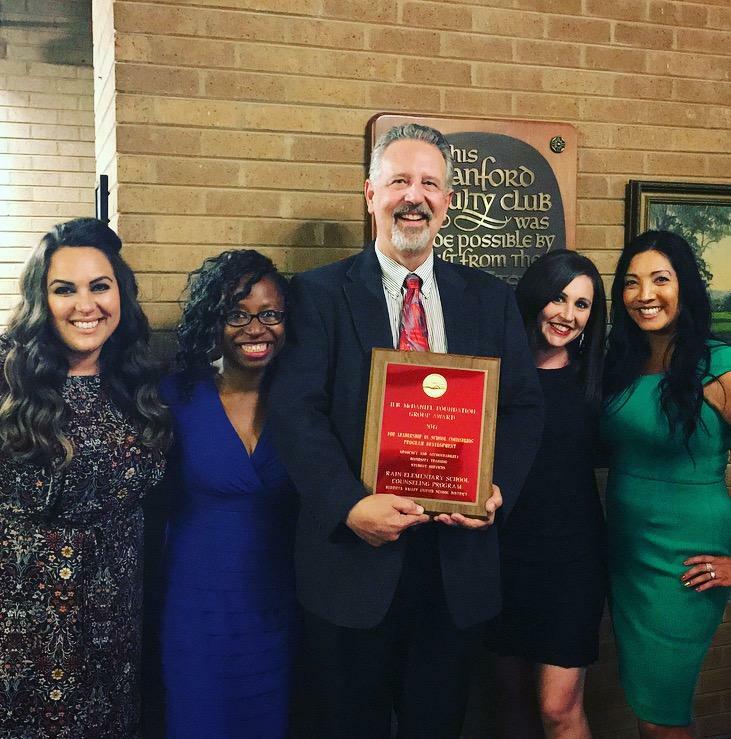 Presented at the annual conference at Stanford University, the award recognizes the school counselors’ leadership and dedication to students, schools, and the community. Our specialists support schools and districts in RAMP application completion and submission to showcase results of comprehensive school counseling. See the RAMP submission video below from Danielle’s former school, Potter Junior High School. Kershaw County, SC Has Its First RAMP School—Congratulations to Mt. Pisgah Elementary School (Derhonda Ross, School Counselor) for earning the first RAMP recognition in Kershaw County, where Hatching Results (mainly Julie Hartline) provided training and consultation for three years. 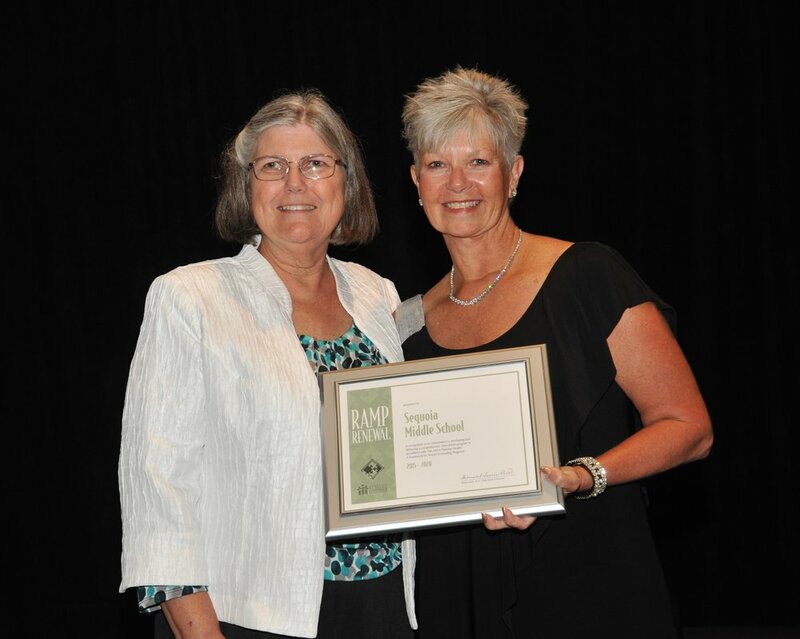 Ms. Ross credits Julie with having “a heart of gold,” stating, “I never would have become a 2017 RAMP recipient without the training and assistance of Julie Hartline. . . After three years of intensive training, I learned how to develop a comprehensive, data-driven school counseling program linked to ASCA mindsets and behaviors and offering equitable access to all students.” Way to go Derhonda and Julie! Hatching Results has trained and consulted with multiple school counseling programs funded through the Elementary and Secondary School Counseling Program Grant. With professional development and consultation, the districts developed, implemented, and sustained data-driven comprehensive school counseling programs, even after grant funding ceased. We appreciate the opportunity to work with our district partners and are so proud of their many accomplishments!